An internal memo distributed to the DC bureau of NBC News today names Perry Bacon, Jr. the network’s newest Senior Political Reporter. Bacon will work closely with Chuck Todd and Mark Murray and lead in coverage of the 2014 and 2016 campaigns. 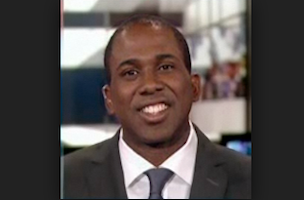 Bacon most recently was political editor for theGrio.com and contributed to MSNBC. He’s well poised for his new role, having led theGrio’s coverage of the 2012 election and President Obama’s second term. Prior to that, he covered politics for TIME and The Washington Post. See the full memo, from DC bureau chief Ken Strickland and Todd, after the jump. Effective immediately, Perry Bacon Jr. is joining the NBC News team as a Senior Political Reporter, contributing to NBCNews.com and other platforms. Working with Chuck Todd and Mark Murray, Perry will be one of our leading voices covering the upcoming 2014 and 2016 campaigns and beyond. 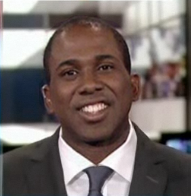 No stranger to NBC viewers or the bureau, Perry joined us in December 2011 as Political Editor for theGrio.com, as well as an MSNBC contributor. While at theGrio, Perry led the site’s coverage of the 2012 election and Obama’s second term, with a special focus on the Affordable Care Act and its impact. A Louisville native and graduate of Yale, Perry is a longtime Washington political reporter. Prior to NBC, he covered the 2004 presidential campaign and Congress for TIME magazine, then moved on to a similar role at the Washington Post, where he served as a national political correspondent and White House reporter. Please join us in congratulating Perry on his new role.